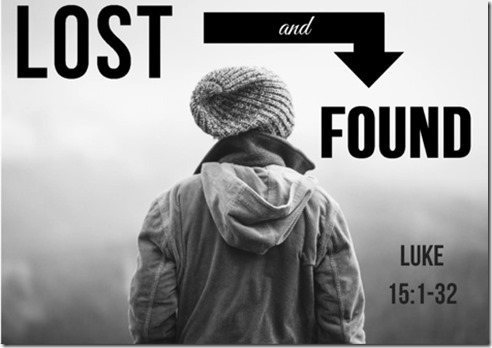 Today we begin a four-week series on what I believe is the greatest parable ever told, the parable of the Prodigal Son. 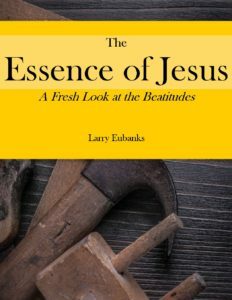 This parable shows the absolute genius that Jesus was, because on the surface it’s a very simple story of a man who had two sons, one foolish and wanton, the other faithful and diligent. But as with so many things, beneath the simplicity there is a beautiful complexity. Within this parable is an intricate web of meaning, symbolism, and imagery. It is the story of both the nation of Israel and every one of us. Its application is national, personal, and interpersonal. It is truly one of the greatest stories ever told. I could easily spend months preaching on this one parable, but I’m going to just spend the next four weeks exploring it. This is where you admire my restraint. Let’s read it. The parable itself is found in Luke 15:11-32, but for this week only let’s read the entire chapter because the Prodigal Son is one of three parables that Jesus told together, and they actually form a unit, so let’s at least familiarize ourselves with the context. There have been some who have said that this parable should be named something else, because it’s not just about the prodigal son. While that is true, it is his actions that spur the whole narrative. Everything that the father and the elder brother do is in reaction to his action—requesting the inheritance, wasting his inheritance, his repentance and return home. Everything hinges around what he does. He is the straw that stirs the drink. But we begin today with the Father. What he does throughout the parable is almost absurd. In fact I think that in a lot of the parables of Jesus we think that he is describing actions that could have actually taken place, and we miss the absurdity of the situations he presents. · No priest or Levite would have left a fellow Jew dying in a ditch and not tried to help him, and no Samaritan would have lifted a finger to help a Jew. · No farmer in Jesus’ day would have just walked around throwing seed everywhere, wasting his time sowing on on rocky, weedy, or shallow soils. · No rich man would have ever just forgiven a debt equaling millions of dollars in today’s currency. · No rich man would pay people who worked for one hour late in the day the same as he paid the ones who worked all day in the hot sun. · And no shepherd leaves 99 sheep to go look for one that wanders away; if he did, when he came back he’d have 99 lost, eaten, or stolen sheep, and one that is probably going get lost again anyway. All of these actions are patently absurd, which is part of the point that Jesus is trying to make. So also with the Father in this parable. So let’s look at what happens. This man wealthy. He owns slaves, has extra rings lying around that he can just give away, and can not only afford more than one cow, but to also single one out to fatten up for a special occasion. In those days you didn’t get rich without being wise and somewhat ruthless. He is the patriarch of a clan, one of the most powerful people in the land, a man to be respected if not feared. Then this mere boy comes up and insults him. He is not even the firstborn son, the one that is going to grow up to take over leadership of the clan when the father dies, the one who would get a double portion of the inheritance. So he comes up and demands his share of the inheritance right now. He doesn’t want to wait until the father dies. He wants it now. That’s terribly insulting and disrespectful, and I’m not sure that any son would risk it. It’s absurd. It’s more likely to get him kicked out of the family quarters and forced to live and work with the slaves. But as absurd as the request is, that the father grants the request is even more absurd. It’s not only an insult, but he is going to lose standing within his family, his clan, and the community. No one will respect him anymore, much less fear him, and for powerful men the only thing more important to them than respect is fear. He has just announced himself to be open game for those who want to take advantage of him in business, to even lie to and cheat him. And if he knows his son at all he knows what’s going to happen to all his hard-earned wealth. Yet he does it anyway. It’s absurd, and don’t even think that it’s understandable, because it’s not. This is the problem that we have with grace—it’s permissiveness, the way it leave us feeling vulnerable and open to being taken advantage of. We don’t have any problem receiving grace when we do wrong—we rather like it—but we really don’t like it when other people get it. We much prefer that when you do the crime, you do the time, but grace feels like people are getting away with something that they shouldn’t get away with. It feels like that if you just let sin happen and don’t confront it, judge it, punish it, exact some pain which leads to repentance, you are just giving permission to people to do all kinds of things without repercussion. And if they do these things long enough, everyone will just accept them as normal. People will be victimized and there will be no one to speak for them, to fight for them, to demand and get the justice that they deserve. It’s like when the too-big-to-fail banks screwed up the economy, breaking laws and getting rich in the process. People lost their jobs, their homes, their savings, and their businesses. Then the federal government bailed the banks out with a trillion dollars, and most of the ones responsible never went to jail and in fact keep their millions of dollars. That’s why we don’t like grace. I can understand the Christian theology called Calvinism that denies the reality of free will, saying that everything is a part of God’s sovereign will that cannot be questioned much less avoided. In my opinion it’s an absurd theology, but the only thing more absurd than that is this thing called free will. That has really made a mess of things. Why doesn’t God keep us from the harm that we in our free will do to ourselves, to each other, to the economy, to the environment, to our marriages, our children, the weak and most vulnerable? Why doesn’t he do something? Well, if he did what we would do, none of us would survive.Heck, I’m not sure the world is going to survive when we do what we would do. But I am sure that none of us would survive if God punished sin and evil the way we feel he should. None of us would survive if it weren’t for grace. Absurd, ridiculous, permissive, indulgent, liberal grace. Which is a reminder that God does do something about sin and evil. He redeems, renews, forgives, and saves. It’s patently absurd, to the glory of God.